Planet Comicon attracts thousands of fans to Bartle Hall in Kansas City every year with some of the biggest names in pop culture from celebrities to creators. 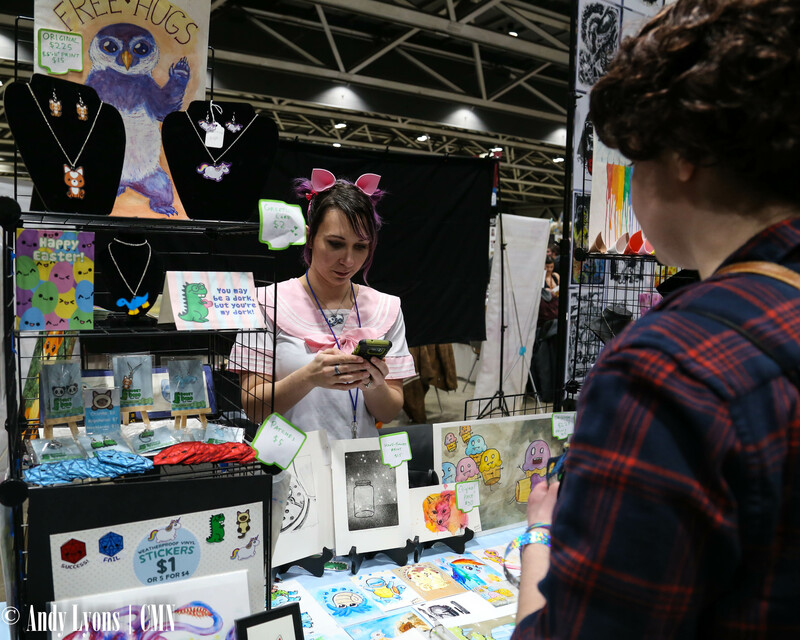 While perusing Artist Alley, a familiar face stood out behind a booth full of colorful prints of various Pokemon and mythical creatures – Brandi Stone, the creative mind behind Dorky Dino. Stone is an alumna of the University of Central Missouri and has had her work featured in the Warrensburg, Mo. First Fridays Art Walks as well as other conventions throughout the Kansas City metro. One of the many things that stand out with her artwork is the unique designs of her work, ranging from original paintings to various 5×7 prints to necklaces. 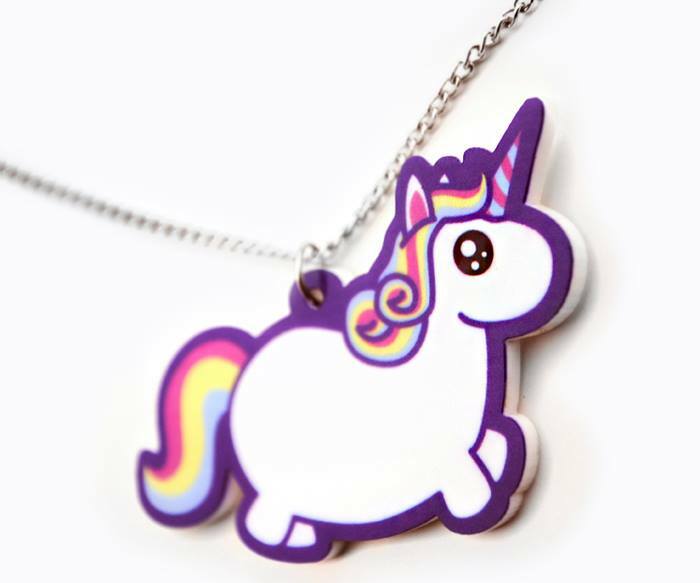 Among her most well-known is the “Chubby Unicorn.” Stone said she gets her motivation for her pieces from her life experiences and personal preferences. The artwork on her booth ranged from legendary characters such as Chewbacca, Pokemon such as Cubone and Growlithe, as well as many of her own design. She said she chooses her favorites or sometimes creates something as a commission and then gets permission to make prints from that work to build a wide range of products – each with her unique style shining with each piece. Stone was a graphic design major at UCM, but enjoys working with a variety of mediums including digital, painting, and watercolors. She designs her necklaces and keychains herself and prints her artwork from home, while using a service to have her charms and necklaces printed on acrylic and laser cut. She said she based her selection of products on items she would want personally. Stone attributed the selection she brought with her to Planet Comicon from her experiences displaying her art at the Warrensburg First Fridays Art Walks. 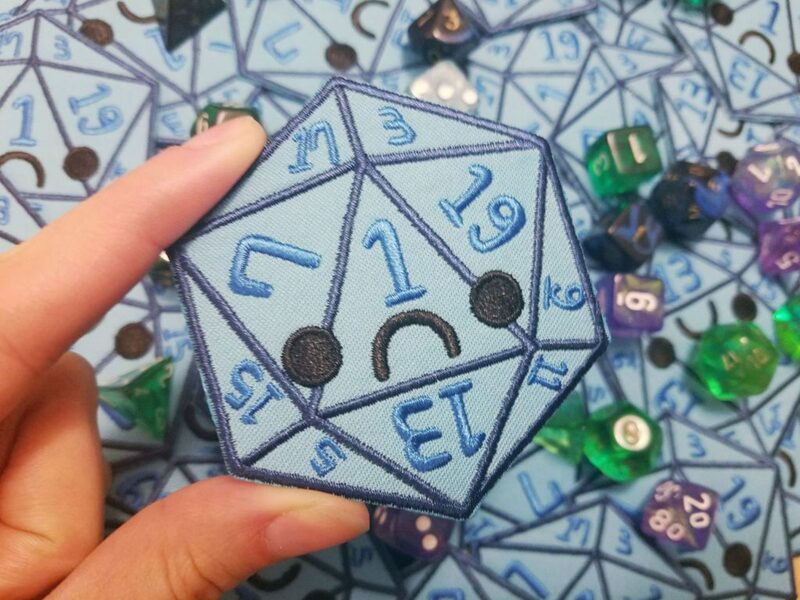 She said her favorite piece is a new one she did that is an alpaca with a unicorn horn that is eating an ice cream bar while her best seller from PCC is patches of Happy Crit and Sad Fail 20-sided dice. The lines for celebrity guests such as Jason Momoa and Alan Tudyk were massive over the weekend, but for Stone the Planet Comicon experience goes in a different direction. For more from Dorky Dino, visit the website at www.dorkydino.com or the Etsy store at dorkydino.etsy.com. Follow Dorky Dino on Facebook here. For the latest from Planet Comicon, follow Central Mo News on Facebook here.